To start off this show, Alison presents a review of the new cookbook from New York City’s wildly popular Cinnamon Snail food truck, entitled Street Vegan. 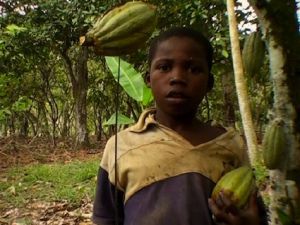 In our first main segment, in anticipation of Valentine’s Day, we discuss some of the ethical problems rampant in the chocolate industry, namely slavery (including child slavery) on cacao farms and the animal exploitation and cruelty inherent in dairy production. But worry not, chocolate lovers! We also share chocolate brands we love that are cruelty-free and made with fair labor practices. You can find more information about the chocolate industry, including a list of ethical chocolate brands, at the Food Empowerment Project website. 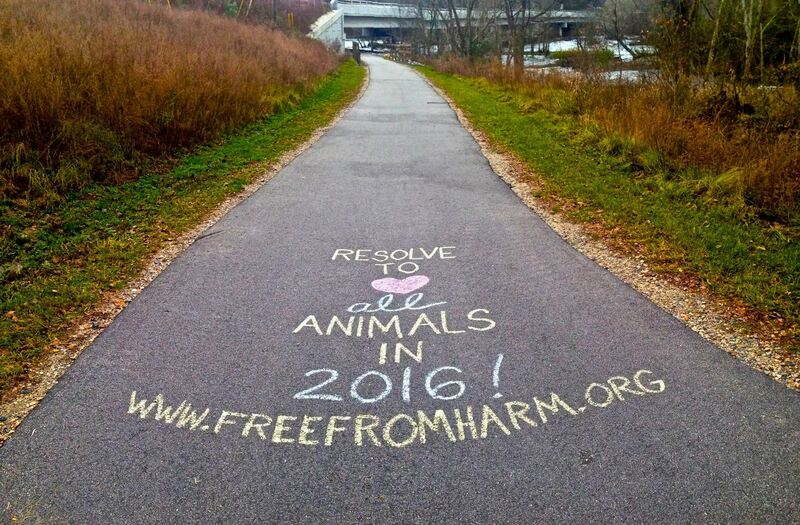 Our feature interview is with James de Alto, an activist and videographer from Raleigh, North Carolina and founder of the “Vegan Chalk Challenge.” He shares the advantages and potential benefits to advocating for animals through writing positive chalk messages in public outdoor spaces, and tips on effective chalking. Elyse wishes to extend special thanks to Bim Narine for his help in preparing this show.